(1) Allow for flexibility for school systems to change the instructional requirement from 180 days to “180 days or the hourly equivalent thereof”. This equates to 1,080 hours of instruction. (2) Call for a local school system to start their school year for students “no earlier than the Monday two calendar weeks before Labor Day, unless August 31 is a Monday, then on Monday, August 17, and the last day of instruction for students shall be no later than the Friday immediately before Memorial Day”. Presumably, moving to an hourly requirement would provide flexibility to hold school in alternative formats, such as electronically, due to days missed because of severe weather or storm damage to school buildings or other unforeseen circumstances. It could also allows school systems to extend the school day. Setting a start and end date based on the calendar as proposed creates a 278-day school year in which to fit 180 days or 1,080 hours. HB360, which has already passed the full House and is set for a public hearing at 11:30 a.m. today (listen in if you want to hear!) received a favorable report from the Senate Tourism and Marketing Committee with an amendment mandating teacher’s salaries be based on 180 days, further specifies that the beginning and ending dates are set for only four school years: beginning with the 2012-2013 school year and ending with the 2015-2016 school year. A pilot program, perhaps? With HB360 having passed the full House, it appears that those constituents are making their voices heard. The School Superintendents of Alabama and the Alabama Association of School Boards oppose this piece of legislation. Save Alabama Summers, a grassroots group working to ensure school start dates don’t intrude into children’s summers, appears to support this legislation. They offer a page of pros and cons for arguments about mandatory school calendars. From their site: States with Mandatory Start and End Date Laws, 2011-2012 United States Start Dates Map, and a State by State Listing of Instructional Hours and Start Dates. 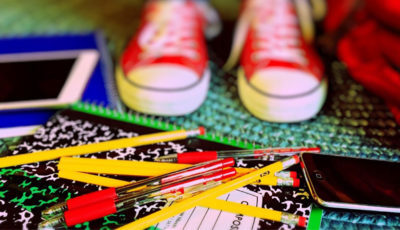 Here is a listing of Alabama’s school systems’ start and end dates for the 2011-2012 school year. The earliest date that the current school year started was August 8, 2011, (multiple systems) with the latest start date being August 22, 2011 (only Montgomery County). The earliest end date for the current school year is May 22 (only Auburn City), and the latest end date for 2012 is June 8 (only Montgomery County). 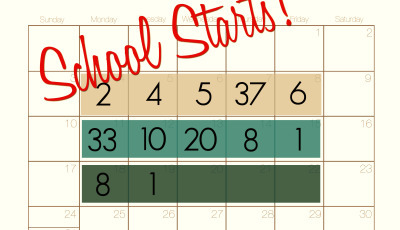 Under the proposed end date, the last day for students for the 2011-2012 school year would be no later than May 25. 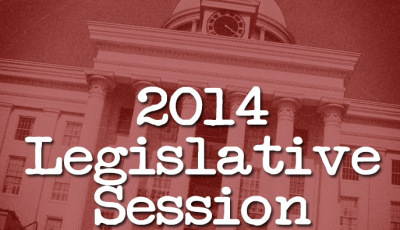 Thirty of Alabama’s school systems ended classes for students after this date. When you look at the Excel spreadsheet of how Alabama’s school systems structured their school year (considering holidays and breaks) for the 2011-2012 school year, eight school systems will complete their school year in a 283-day period, while one uses as much as 297 days (that’s two weeks more!). Seven of the eight systems completing their school year within 283 days started the current school year on August 15 and will end it on May 23. The eighth system started on August 16 and will end on May 24. 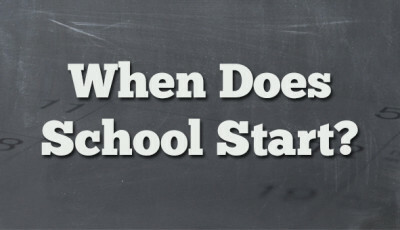 No school system has a 278-day school year for the 2011-2012 school year. Projecting out for the 2012-2013 through 2015-2016 school years (the range of school years included in the version passed by the full House), the first three years provide a 278-day span within which 180 instructional days, or 1080 instructional hours, must fit. The 2015-2016 school year provides a 285-day span (August 31 is on a Monday that year). If this legislation becomes law, the question remains as to how school boards will fit their school year into a 278-day span. What might those calendars look like, practically? How long will Winter Break be? What about Spring Break? Fall break? First semester…leaving time for semester exams? These are practicalities that will have to be dealt with by school boards across Alabama should this legislation be signed into law. What are your thoughts? Post here or on our facebook page. School Starts Next Week (for 54 Districts)!